As a digital marketing agency, we live and breathe PPC. We’re trained to come up with the best, most efficient and ethical ways to spend our clients’ money. And we know the last thing you want is to lose your marketing budget tomorrow because you couldn’t spend it today. Fortunately, mainstream networks like Google, Bing, YouTube, and Facebook offer new opportunities to do this every day. These growing platforms make it easier for us come up with innovative strategies to help spend a client’s marketing dollars well. These days I see these as the fun problems to solve. Problems like this make you dive deeper into your target audience than usual. They force you to really get to know who your audience is and what motivates them. And sometimes, you’ll find it’s time to think outside the box and test other marketing platforms beyond PPC. I recently found myself in this situation (and, unlike the world’s best boss, managed to keep my cool). In this post, I’ll share what we did to help a MedTech client reach a very small, very specific audience when traditional PPC advertising wasn’t going to cut it. Our client wanted to promote a new version of a well-known medical device to a subset of users in the United States. As you might imagine, that target audience size is extremely limited… We’re talking less than 1,000 people in the United States. Not only is the audience small, but we know these people are busy. They’re not spending their free time surfing Google, YouTube, and Instagram. How are they spending their time? Researching. They are reading online publications specific to their field of study. To meet our audience where they’re at, we devoted a portion of our budget to direct media buys on top industry publications the target audience would most likely read. We worked directly with top medical journals to buy banner ad space on their websites. This highly targeted approach would allow us to reach our niche audience in an environment where our ad messages were strongly related to the content our audience was already reading online. A very natural connection. Like other MedTech companies, our client attends a few large national conferences every year, each with a specific goal. With that in mind, we crafted a geofencing strategy to accurately target users with ad messages specific to their location. 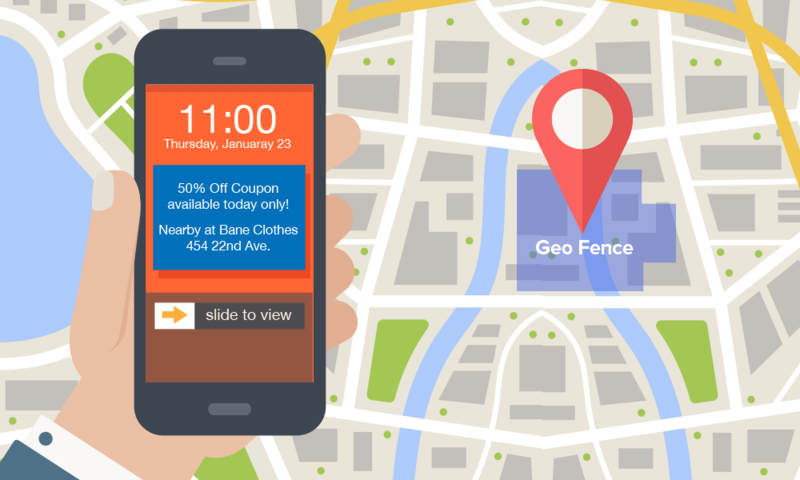 With geofencing, beacon technology detects when your audience steps in a specific physical location and allows you to serve an ad straight to their mobile device. In this case, when our audience was physically near or inside a particular conference, they would see ads on their phone (through mobile apps or mobile browsers) encouraging them to attend nearby events our client would be attending at the conference. Geofencing offered a whole new level of granularity to help our client use their advertising dollars well. It empowered them to engage with their audience in the right time and place. Our cross-channel strategy didn’t stop there! In conjunction with direct media buys and geofencing, we also tested other avenues like Twitter and LinkedIn ads. Bringing social advertising into the marketing mix really helped round out our holistic approach. Assigning Budget: It’s All About Balance! The second challenge we faced was the client’s rather large budget for such a small group of users… Another fun puzzle to solve! Historically, this client spent most of their budget on print ads. Now, they wanted to shift more to digital. It’s (fairly) easy to rack up a lot of ad spend in print because the advertising can’t be too targeted. Digital is a whole other story. The size of the group of people you want to reach majorly impacts spend. And as I mentioned before, size was not in our favor. Our solution? Take a comprehensive approach and run specific ad content all year long to align with new product launches and industry events. 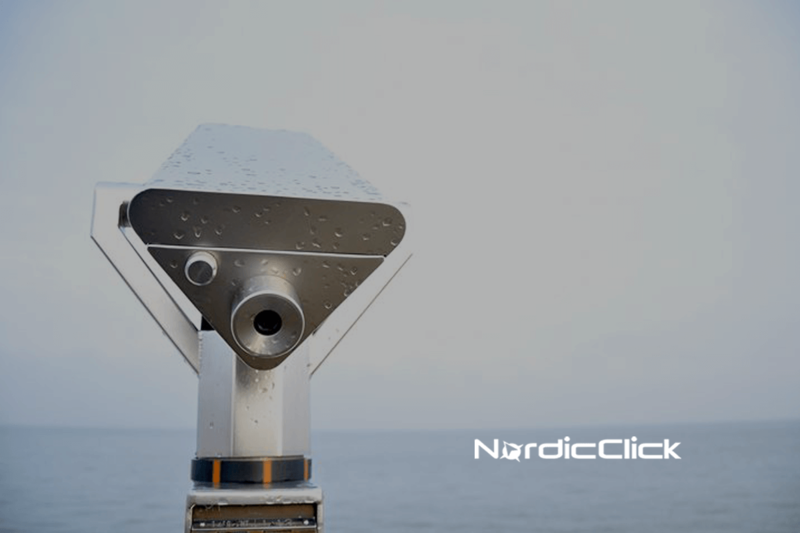 We already talked about the “where” piece of our digital strategy – top online medical journals, national industry conferences, and social media platforms. Since the client’s overall goal was driving brand awareness among a very specific group of people, we wanted to be strategic about “what” content we served and “when” we served it. 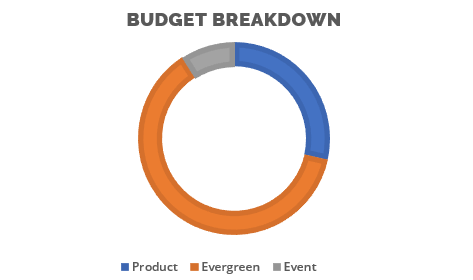 We allocated roughly 40% of the budget toward product launches and event-specific marketing. Then we filled in the gaps with continually running evergreen content. This created the opportunity to intentionally change out ad content to correspond with events and product launches that were most pertinent to our audience. Plus, it helped break up the monotony of continual evergreen brand awareness messaging. Figuring out who your core audience is can be enough of a struggle. But once you’ve established who they are, finding and reaching them poses a whole new challenge. It’s tough to know where to look beyond popular platforms like Google, Bing, LinkedIn and YouTube. Does this sound similar to an issue your company is having? If so, we’d love to help. Check out what we do for Brand Awareness and paid media strategy.